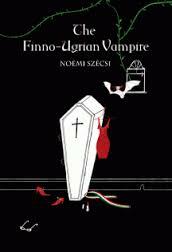 Noémi Szécsi studied Latin, English and Finnish at the ELTE University of Budapest and wrote her first book A finnugor vámpír (The Finno-Ugrian Vampire, 2002) while holding a scholarship at the University of Helsinki in 2000. This novel has since appeared in Polish and Italian, as well as in English and US editions. It was followed by Kommunista Monte Cristo (The Communist Monte Cristo, 2006), which has been translated into Serbian, Bulgarian and Macedonian, with a Croatian version due soon. This novel received the European Literary Prize in 2009. Utolsó kentaur (The Last Centaur) appeared in 2009, Nyughatatlanok (The Restless), about the lives of Hungarian émigrés after the 1848-1849 Revolution, in 2011, the year in which she received the prestigious Attila József Prize, and Gondolatolvasó (The Mindreader), a Bildungsroman about a deaf boy, in 2013. She has also written books for children and her long-standing interest in gender issues and women’s lives more generally has come to the fore in some of her recent (co-authored) works of non-fiction, such as A budapesti úrinő magánélete, 1860-1914 (The Private Lives of Ladies in Budapest Society, 1860-1914, 2015) and Hamisgulyás (Ersatz Goulash, 2015).